Magnificent River Ridge home on two(2) lots with spectacular views. World class home with every amenity. Impeccable quality construction by Jack Hartsell. 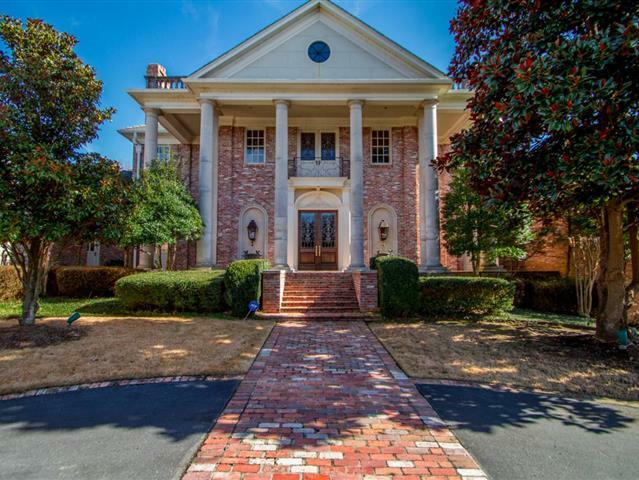 This home provides the ultimate setting for family living and beautiful entertaining. Stunning Foyer flanked by formal dining room & handsome living room. Two story ceiling in family room w/wall of windows to maximize the views along with fireplace and retractable built-ins to Eat-In Kitchen. Family Room adjacent to Walnut wet bar. Gourmet kitchen with custom millwork and breakfast area overlooking expansive terrace and pool. Luxurious Master Suite and Study/Lounge on main level. Upstairs: 3 additional Bedroom Suites, media room and bonus room. Numerous additional features include: Elevator, Five(5) fireplaces, Gorgeous pool and grounds, Pool House, Four(4) car Garage and circular drive.